A woman accused of funneling money to the al-Qaeda-linked group al Shabaab willingly admitted that she is an ardent supporter of the Somalia-based terrorist organization on the first day of her trial. Her defense attorney, Paula Deutsch, has acknowledged that her client supports the jihadist group, arguing that does not prove that she provided financial aid to the al Shabaab terrorists. All her client did was “talk” about supporting al Shabaab without taking action, argues her public defender. In July 2014, Hinda Osman Dhirane, 44 years old and a mother of six, was arrested at her home in Kent, Washington, “on charges of providing material support to al-Shabaab, a designated foreign terrorist organization that is conducting a violent insurgency campaign in Somalia,” reported the U.S. Department of Justice (DOJ). Her trial, which is taking place at the U.S. District Court for the Eastern District of Virginia, began on July 11. Court records show Dhirane funneled small amounts of money to the terrorist group to avoid detection — as low as $50 or $100 at a time, for a total of less than $5,000. During the trial, Dhirane’s attorney said her client’s support for al Shabaab stems from Somalia’s history of corrupt and, at times, nonexistent government. 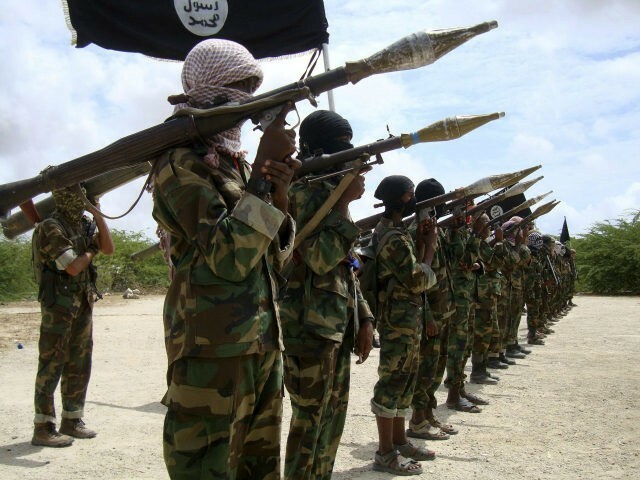 Somalis “saw al-Shabaab as the hope to establish peace and order and a Sharia system of law,” declared Deutsch. Deutsch, began her opening statement Monday reading parts of a poem Dhirane had written as an ode to al-Shabab fighters. However, prosecutors accuse Dhirane and her co-defendant Muna Osman Jama , 34, of more than talking about supporting the terrorist organization. Jama was arrested on the same day as Dhirane, only she was at her home in Reston, VA. Although they were only supplying the group with relatively small amounts of U.S. dollars, prosecutors reportedly say it was enough to “provide significant buying power in Somalia for weapons and the like,” notes AP. The defendants would refer to the money they sent overseas as “living expenses,” and they repeatedly used code words such as “orphans” and “brothers in the mountains” to refer to al-Shabaab fighters, and “camels” to refer to trucks needed by al-Shabaab. They hid the money in remittances that Somalis regularly send back to their native country, reportedly noted prosecutor Danya Atiyeh in her opening statement during the July 11 trial. The DOJ did not reveal the women’s immigration status or whether they were born in the United States.